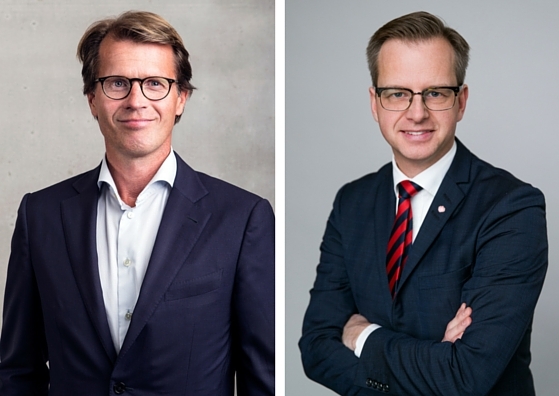 Telenor Connexion’s CEO, Mats Lundquist, joins Swedish Minister for Enterprise and Innovation, Mikael Damberg, at the first Sweden–Southeast Asia Business Summit in Singapore on September 21-22. The Sweden–Southeast Asia Business Summit attracts business leaders anddecision makers from Sweden and the region by providing a platform for sharing of best practices on how to do business in this dynamic part of the world. Around 600 Swedish companies across business sectors ranging from service to manufacturing and retail are present in Southeast Asia. In addition to Mr. Mikael Damberg and Mr. Mats Lundquist, the summit will feature other key political and business representatives from Sweden, including Mr. Lim Hng Kiang, Minister for Trade and Industry, Singapore; Mrs. Ylva Berg, CEO, Business Sweden – the Swedish Trade and Invest Council; Mr. Marcus Wallenberg, Chairman of the Board, SEB, SAAB Group & Foundation Asset Management, and many others. Southeast Asia is home to more than 650 million people with a rapidly growing middle class. The region is estimated to grow at an average of 5 to 6 percent annually in the coming decade, making it the growth engine of the world. The newly established ASEAN Economic Community is likely to enhance the growth further. “The region is a key growth market for the Internet of Things. IoT solutions enable, especially smart city solution providers and manufacturing companies, to create new revenue streams and become more cost efficient. The Sweden–Southeast Asia Business Summit provides an excellent opportunity to get insights of the developments in the region and to meet with potential partners”, says Mats Lundquist, CEO at Telenor Connexion. Telenor Connexion, Telenor Group’s company dedicated to the Internet of Things, views Asia as an important market and operates locally to support regional customers and to enable Swedish companies to bring their digital solutions to the region. Telenor Group, one of the world’s largest mobile operators, has a strong regional presence in Asia with above 180 of their 211 million mobile subscriptions here. The Sweden–Southeast Asia Business Summit is a joint effort by “Team Sweden” in Southeast Asia, i.e., the Swedish Embassies, Business Sweden and the business associations and chambers in their respective countries.